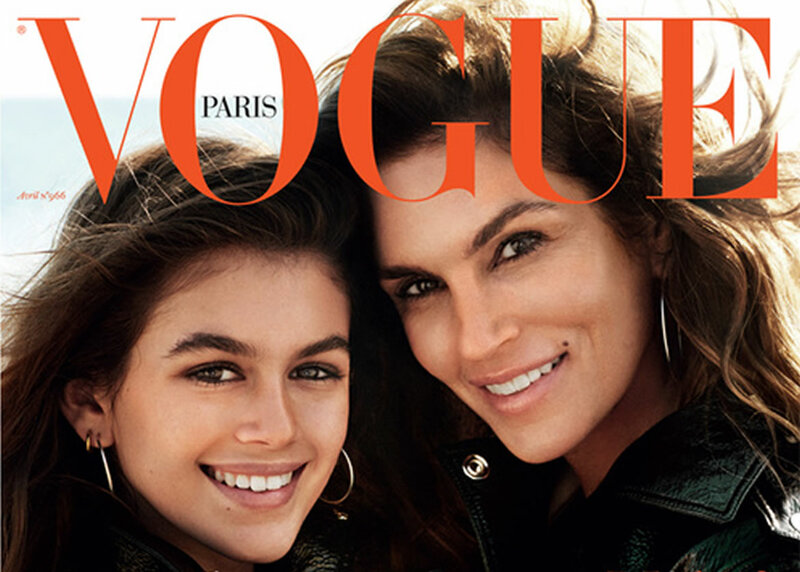 ‘Like mother, like daughter’ suits Kaia Gerber and Cindy Crawford the most. 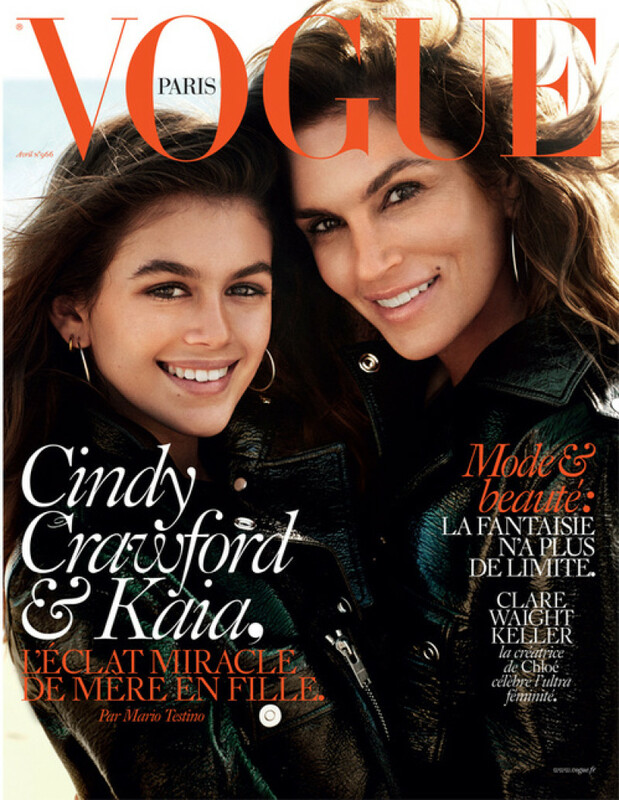 The gorgeous mother-daughter duo are sharing the space on the cover of Vogue Paris April 2016. The 14 year old teen is a splitting image of her 50 year old mother and is making the most of her inheritance at such a young age. Styled in matching black leather jackets by editor-in-chief Emmanuelle Alt, they faced the lens of Mario Testino in Malibu. The beautiful ladies also revealed that this will be their first and only cover shoot together. Kaia has already made her foray in the fashion industry by starring on Vogue Italia as well as Alexander Wang and Young Versace campaigns.